i don't get out much, at least, not after dark. in a village of just under 1,000 people on an island where public transport ceases at 6pm each evening, metropolitan is not an adjective that gains much airtime around here. which is an obscure way of saying that there isn't a lot to do in the evenings, other than sit in the leather armchair composing quality journalism and finding it easy to ignore the soap operas on television. this is the rural idyll, where the night sky is clearly seen assuming a lack of cloud cover, unhindered by the light pollution that affects the real metropolises of the kingdom. while that may be an astronomer's dream, it does have its disadvantages for the nocturnal velocipedinist in that it is very, very dark of an evening and the roads are inhabited by more than just the local boy racers. it's an observable fact that the first sign of sheep on the road is pinpoint reflections in their eyes. and sad to say, on a bicycle, you're going to be very close to some woolly jumpers by the time you notice. combine all these factors, and unless there's a very, very good reason to be out after teatime, that leather armchair starts to look like a very attractive proposition. however, even the housebound of an evening can be forced to take the chill evening air on occasion, at which point, some sort of illumination is desirable if not legally mandatory. situated but half a kilometre outside the village is a refurbished, modern building that was at one time, the island's fever hospital. after serving sentence as the council's storage centre, it was converted into the awkwardly named ionad chaluim chille ile, gaelic words that signified the island's gaelic college. for reasons best known to the management, they are now keen to bury the gaelic college nomenclature and have it referred to as either the columba centre or more simply, if enigmatically, icci. part of the building's dilution as a college for the furtherance of the gaelic language has been of benefit to the wide and varied local music scene, minimal though it may be. the acoustics and comfort of the main hallway have made it the ideal location for classical, folk and jazz music, even though the siting of the toilets at the foot of a spiral staircase on the lower floor is a tad inconvenient to say the least. it is on the occasion of attending the occasional event at this venue that i have need of at the very least, a rear light, defining my existence clearly in red over the 500 metres between the end of the street lighting and the lights in icci's car park. 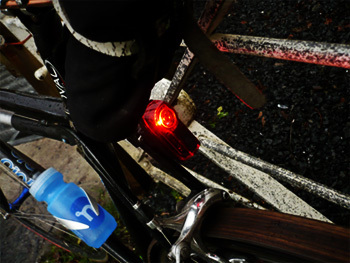 quite how we have survived without a flashing rear light offering a choice between dance/breathe, 10% and solid is quite beyond my reckoning. though the last of the three is self-explanatory, the other two may need a tad more explanation. ten percent is a more regular flash mode as you, i and a following police car would recognise it, but the best of the three, and the one i have firmly settled on, is the dance/breathe option. this flashes quickly then slowly on a repeating cycle making one's presence arguably more obvious to any soporific motorists in the immediate vicinity. pressing and holding a button on the bottom of the aether demon for a second or two enters this dance/breathe mode; pressing once more offers up the 10% and pressing once more keeps the red led solidly lit. holding the button in for a few more seconds switches the unit off. immediately adjacent to the on/off button is a rubber plug revealing a micro usb socket; the light comes with a connecting usb cable to allow charging from a computer or a usb socket equipped plug. 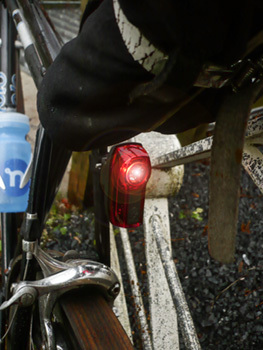 also in the magnificent little box beside the light are three brackets allowing mounting of the unit on a seatpost or seatstay on bicycles that still possess appropriately sized tubing. there are a couple of rubber gaskets to accommodate variance in size. 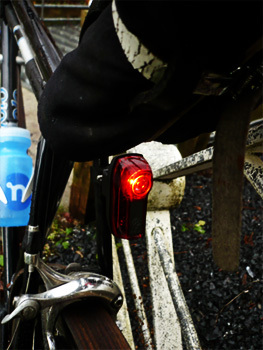 spare brackets can be purchased separately to allow the light to be shifted between more than one bicycle. one charge seems to last some considerable time. though you would be correct to doubt the truth of my statement on the basis of a couple of one and a half kilometre rides to the columba centre, the aether demon also finds favour in daylight. 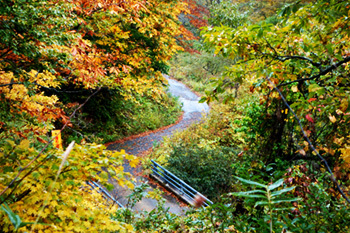 on grey days, improving personal visibility is not something to be sneezed at. 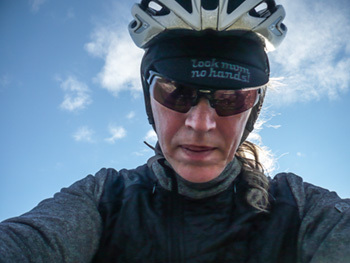 last saturday's ride covered 92km, along with lunch at debbie's after which i discovered i'd forgotten to switch it off during the munch period (a senior moment). it also appears to be quite waterproof; most rides currently feature more precipitation than truly finds favour, but it's not all fun and frolics in the hebrides. though hardly germaine to the function of the light, the packaging in which it arrives is worthy of mention. there's a neat little sticker of an aether demon included (one for which i have yet to determine the most appropriate placement), a cleverly thought out top flap to aid point of sale display, and an oregon state shaped bar code on the back. the guys at pdw have a deserved reputation for eccentricity, but while such has little bearing on the excellent reputation of their products, the more the better in my opinion. it's a very bright light that you'll hardly ever see because, as will become perfectly obvious in the pantomimes soon to be played out in schools all across the country, it's behind you. i'd prefer not to enter the helmet debate if i can possibly avoid it. there are far too many areas of day to day life in which ever-encroaching health and safety initiatives seem determined to save us from ourselves. therefore, if members of the pelotonese are happy to brave the big world out there devoid of head protection, they are well within their rights so to do. more power to their collective elbows. i, on the other hand, am more than happy to select an appropriate helmet for the day's pedalling activity if for no other reason than i have convinced myself that i look faster with helmet than without. obviously this may be something of a subjective notion, but as increasing age leads to a diminishing turn of actual speed, i figure i need all the help i can get, even if it's only polystyrene deep. on an island where rush hour may indeed consist of a tractor or two and very little more, i'm sure i could comfortably ride the length and breadth with dishevelled hair blowing freely in the wind. however, the prospect of collision with a motor vehicle is not the reason that i wear a helmet in the first place. aside from the carefully nurtured image of unadulterated speed, due to a perceived lack of need to keep livestock off the road, there is a greater than evens chance that i will have to swerve ditchward at sometime in my career to avoid a suicidal sheep, lamb or just a lumbering cow with no real sense of direction. to be quite honest, collision with a car is the least of my worries. but if we might put the protective element of that dod of polystyrene to one side just for a moment, perhaps we could take a look at one or two disadvantages of helmet wearing now that the weather has taken several turns for the worse. if i'm allowed to exclude the recent crop of helmets designed to emulate pudding basins (think giro air-attack), the majority acquire their sleekness by means of sweeping aerodynamics and carefully sculpted slots designed to keep us cool under pressure. given that those slots generally carry out their duties with exemplary fortitude, when the ambient temperature cools, so does your head. 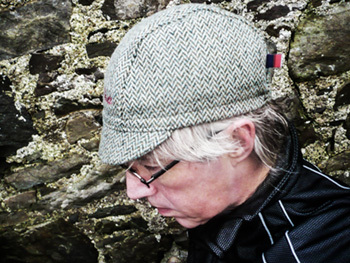 throughout even the warmest of months, i am to be found wearing a casquette under my helmet, and always with the peak down, as is customary amongst the flandrian hebridean clans. when the mercury drops, and the windspeed increases, those aerodynamics beloved of the marketing departments tend to channel that cold air towards the tips of the ears. 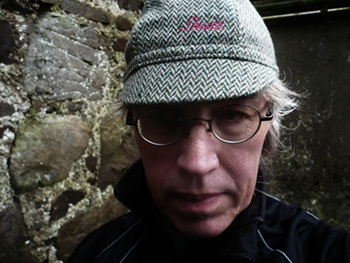 thus, to protect those appendages in the airstream, i have taken to wearing those excellent belgian winter caps (it is part of my hebridean heritage) with a modest degree of insulation on top and a thermal flap that cossetts my ears. aside from the fact that i believe sitting at deb's supping soya froth of a sunday morning is immeasurably enhanced by the wearing of just such a hat (it shows one's badass aspirations), they serve their purpose well. to take this enhancement a stage further, it is of great credit to the wearer that said hat has the words look mum no hands! embroidered on top of the peak. yet another reason to wear the peak down. 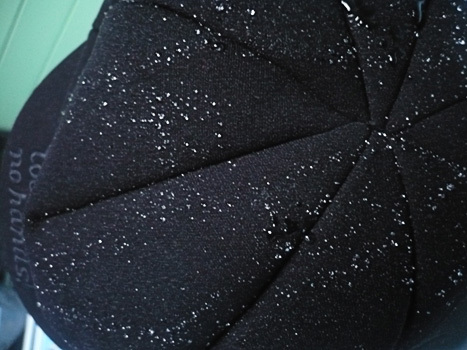 retailing at a surprisingly modest £20 and available direct from the lmnh website or premises, the all black winter cap contrasts magnificently with its successor on stepping away from the saddle. 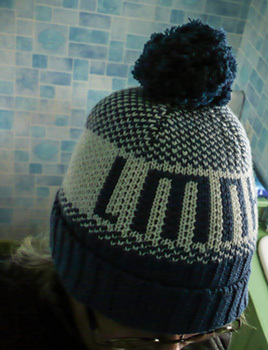 if i could maybe re-iterate my contention that we ought to be advertising our obsession to the civilian population, lmnh's blue and white woolly bobble hat is not only seasonally decorated and seasonally warm, but the cafe's initialism is prominently displayed front and centre. i have taken to keeping the bobble hat either in a rear pocket while out and about (just in case), or hanging it inside the door of the bike shed, ready and waiting to be worn the minute cleats have been unclipped on my return. the woolly bobble hat, of course, has no real velocipedinal heritage, making it the perfect shoo-in for wearing not only to the office monday to friday, but the perfect accompaniment to one's lugs (scots word for 'ears') when popping out for a couple of rolls and a copy of the guardian. costing only five pounds more than the winter cap, this is the ideal stocking filler for the jolly cyclist in your life, or even for the pelotonically challenged. hey baby it's cold outside. contrary to a misreported story earlier today regarding the rapha condor jlt racing team, rapha are not leaving the team high and dry before the turn of the year. however, after nine years, at the end of 2014, rapha will cease to be title sponsor and clothing supplier to the men in black. chief executive of rapha, simon mottram said "Road racing and riding in the UK have been transformed since Rapha and Condor started their partnership in 2006. Both Rapha and Condor have grown and developed in that time as well. Our eight years together have been really important to Rapha, helping us become established as a legitimate fixture of the UK racing scene. After eight years the cycling market and our business have changed and we have decided that having a UCI registered Continental Racing team is not the best way for Rapha to contribute to the UK racing scene. We are exploring other ways in which Rapha can usefully invest in UK racing and further plans will be announced shortly." in fact, in the coming year, rapha will increase their investment in the team, increasing the number of riders to 14 for the season. 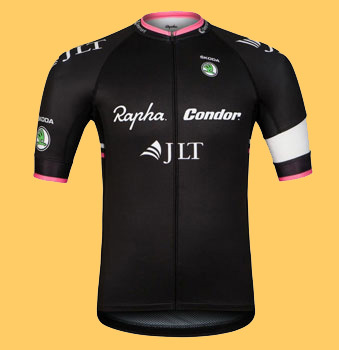 additionally, rather than hand over the keys and walk away, rapha will work with both condor cycles and jlt to ensure a smooth transition into the 2015 season. manager john herety ("did i ever tell you about the time...") has overseen one of britain's most successful cycle teams, one that has brought two national championship victories with dean downing and kristian house, olympic medallists ed clancy and chris newton and most recently under 23 national champion and tour of korea winner, mike cuming. nothing ever lasts forever, particularly in the world of cycle sponsorship, and i think rapha is to be applauded for having placed its money right where its mouth is for what will be a nine year period. it'll be sad to see the end of an era, but it would also be nice to turn out during the 2014 season and cheer louder than usual. again, contrary to supposition, rapha's budget for rcjlt is entirely separate from that of teamsky. 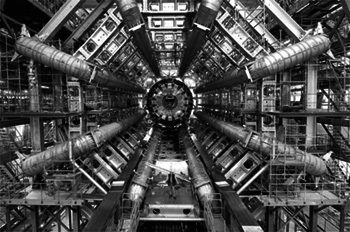 cern's large hadron collider cost a total of £2.6 billion, the bulk of which is accounted for by the collider portion itself (£2.1bn) and the detectors (£575m). it's referred to as the large hadron collider because it has a circumference of 27km, which you pretty much have to agree, is fairly large. cern (conseil european pour la recherche nucleaire) placed those 27km of large diameter piping underground because 27km of real estate above ground would have dramatically increased the budget. in order to keep the machinery ticking over, the british government contributes around £28 million per year, reputedly a tad less than the cost of a pint of beer for every member of the uk population. by accelerating two proton beams to a speed just a smidgeon below the speed of light and travelling in opposite directions, the resultant crash is then dissected to see what happened. this is pretty much how eddy boasson hagen was discovered. however, despite all this expenditure, enough underground space to build a small town, and lots of euros from western governments, quite how a bicycle manages not to fall over is still a classifiable mystery. the first mathematical analysis of just how an unmanned bicycle manages to roll more or less in a straight line without external influence was attributed to the gyroscopic effect of the front wheel, aided and abetted by the mass and a degree of spontaneity from the handlebars. all this was written in stone as early as 1910, but physicists have always had their doubts as to the veracity of these equations. a century later, successors of those doubting physicists constructed an experimental bicycle with all the gyroscopic effects cancelled out by a system of counter-rotating wheels. publication of the results derived from this experiment pretty much dipped all previous notions in the bucket. when the angles of the headset and forks, distribution of weight and turn of the bars were all taken into account, there were insufficient gyroscopic forces to keep the bike upright after all. in fact, the physicists who carried out this experiment were reduced to saying that quite frankly, science has no equitable explanation. surely the quest for such a profound answer is worth more of the governments' budgets than crashing protons into each other? it may have discovered eddy higgs boasson, but made no inroads to prince bradley's descending abilities in wet weather. we, on the other hand, may not care one whit for any equations that confirm the bicycle as the world's most valuable invention. not for us the intricacies of physics, for those are but mere bagatelle when climbing scary gradients in the big ring or being unable to feel our thumbs when traversing the cobbles. this devil-may-care attitude is justifiable because whichever chunk of the unknown universe is acting on our behalf, we have matters under our own control via a pair of pedals attached to some spinny cranks. there are a number of aspects accorded the bicycle that are all too often taken for granted, and amongst a list that comes immediately to mind, those would be the bottom bracket, headset and pedals. my recent visit to pronto gara visibly demonstrated the chasm that exists between the quill pedals of everyday transportation and the star wars lookalikes currently affixed to my own spinny cranks. 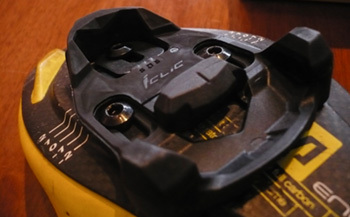 i have owned three pairs of mavic's orginal clipless pedals, a design not too far removed from look's original notion and with a very similar cleat design in grey rather than red. these worked remarkably well; simplicity of form and action that generally gave little cause for concern (though my first pair were indelibly marked by a recalcitrant cleat bolt, never quite managing the same efficiency as when new). as a company originally better known for its wheels and rims, mavic's move into pedals, helmets, clothing and shoes could be seen either as a strategic expansion or possible folly. thankfully, the former seems mostly to have been the case. however, for reasons best known to themselves, mavic opted to desist with their own pedal system at the end of last year and hooked up with the folks at time to develop something that can only be likened to something on which the jedi would be more than happy to apply force. and at the risk of sounding like obi wan kenobi, they're also something on which i've been most happy to place my zxellium road shoes. i apologise for likely extending the star wars franchise just a millennium too far, but i almost wish i'd invoked the force when i popped out for my first ride. in common with associated members of the pelotonese (including eddy higgs boson), i attempted to clip my left foot into place before departing at just below the speed of light around the principality. that left foot, however, seemed not to have completed its enforced task, and after another couple of attempts, i figured either the pedal was at fault, or the cleat was not properly oriented. it accords no credibility whatsoever to yours truly as a famous cycling reviewer to intimate that on each of the aforementioned occasions, my foot had already been correctly clipped in. i have never before used a set of pedals where clipping in has been so easily if errantly achieved. the knee trembler affliction that inevitably follows clipping both feet into a new pair of pedals, is the trepidation that extrication might not be quite so simple. 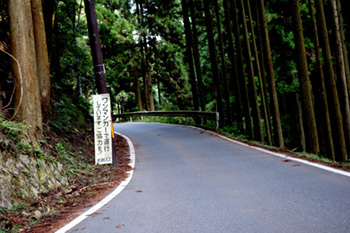 i'm sure each and every one of you recalls just which section of road you were on when you fell over on that first clipless ride. however, i need not have feared, for unclipping is just as easy as clipping, though this time with a far more definite click of acknowledgment. 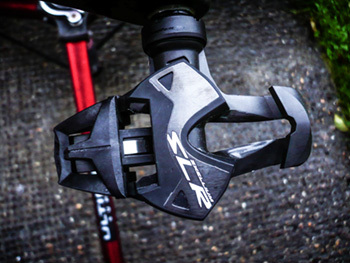 there are four models in this latest mavic pedal range: the zxellium slr titanium, the zxellium slr with steel axle, the zxellium sl and the zxellium elite, all of which follow the same form factor. according to mavic, the slr titanium and the slr are of carbon composition, though i must admit it looks just a bit like what used to be known as resin. naturally enough, the titanium loses enough weight to offer a pedal at 155 grams, while the steel axle version as reviewed arrives at 190g. 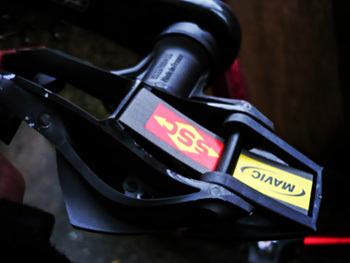 flip the pedal to its underside and, apart from the brightly coloured red and yellow mavic decals, the substantial flat spring that keeps the cleat firmly in place is clear to view. never ones to refrain from ascribing some form of technology to their products, mavic have dubbed this iclic; in truth, i care not what they call it, for it has so far worked seamlessly and remarkably efficiently. no doubt the result of the pedals' length, neither foot suffered any discomfort at all, even when deliberately pushing harder than truly necessary. the replaceable body plate forms an efficient platform to not only balance the foot, but to transfer all that pent up energy into forward motion. 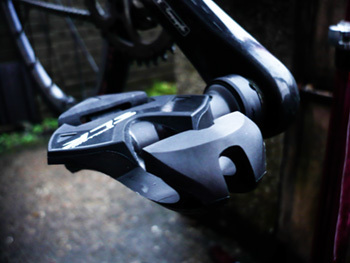 i think it very likely that i'll be augmenting my other colnago with a pair of these, for after a quick comparison, they leave the previous mavic pedal range looking rather lost. the only subjective problem i could foresee is one of aesthetics; i really like the star wars look (sorry, time) but a couple of others have been less impressed. however, once your foot is clipped in, the appearance is lost in a blur of speed, so who really cares? mavic zxellium slr pedals retail at £130 per pair, including cleats. nowadays, the apellation limited edition is perhaps something to be included in the buyer beware category of acquisition, since many items that fall into this category are in danger of stretching the definition just a tad too far. at the islay whisky festival earlier this year, having now cottoned onto the realisation that the well-heeled single malt aficionado will cheerfully walk out the distillery gate with almost any expression curated in limited fashion, most of the distilleries offer varying degrees and prices of limitedness. in some cases, that is truly the intent, with bottles being individually numbered in the low hundreds. whether any of these are ever tasted, or immediately find their way onto ebay is probably of less concern. however, at least one of the offerings last may was advertised as limited, yet consisted of several thousand bottles, some of which are proabably still available if you ask nicely. the moniker seems also to have found its way onto the metal badges on car bootlids, a feature that seems directly in contradiction to the knowledge that the majority of vehicles nowadays are produced in millions. of course, it could be that the colour, finish or level of interior decor of the vehicle constitutes the limited part, while the body and engine are identical to all the siblings lined up in a car park at the container depot, but that is surely where the lines of delineation begin to blur? though less often marketed as such, there are many items of modern day cycle clothing that would comfortably fit into such a classification. not so much because they differ from other items in the same range, but principally due to their having been produced in less than plentiful numbers. succinctly put, when they run out, they run out; a veritable limited edition. 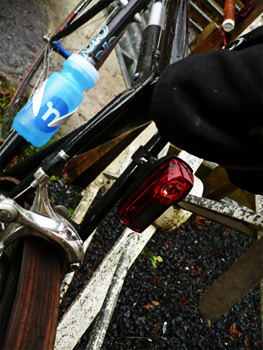 however, very much in the deliberate category are the marvellous cycle caps currently proffered by shutt velo rapide. 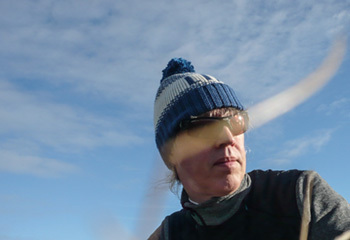 their website presently displays three limited edition tweed caps of blue, pale pink and green hue, hand made in leicester from isle of man tweed. 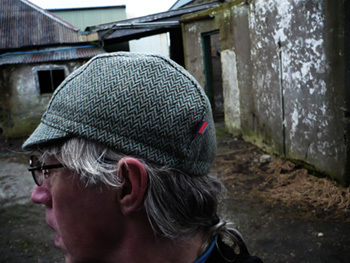 the singular item that i currently have as cossetting for my head (always peak down) is a limited edition manx tweed in a rustic shade of tweedy greyish green, an item of headwear that revels in its fabulous tactility. and not only is it described as limited edition, it fulfils that promise by being accompanied with a certificate attesting to the very same; in this case, i have number 16 of 18 made. though of slightly hardier constitution than the more common or garden cotton variety, it still fits comfortable under a range of different helmets, while owning a distinctly subtle personality allowing it to become a part of the day to day. the three panel design features a contrasting brow liner bordering a breathable and anti-static lining, making it easy to see why you would pay £39 for the privilege of ownership. and as if to underline your undoubted sartorial excellence, the word shutt is embroidered in a contrasting coloured script up front. many of the less than limited edition caps that feature on the heads of the pros almost immediately inhabit a level of ubiquity, but though i'd advise against carrying that certificate of authenticity everywhere you go, there is always space for the more refined item amongst the pelotonese. several years ago i had a conversation with rapha's simon mottram that, aside from the usual banter, took in a range of rapha related topics revolving around several then unannounced products. i'm good at keeping secrets. during this dialogue, he mentioned that perhaps one of the ultimate aims would be that rapha became simply a brand, always related to cycling, but not necessarily always centred round the provision of riding apparel, whether for the open road or city riding. i've never had ambitions to be the ceo of a multi-national of any description; i'm quite happy sitting in my leather armchair and writing endless streams of velocipedinal consciousness for the edification of the multitudes. therefore, at the time, the notion that a small rabbit warren of offices in london's perren street, seemingly concentrated on providing fine cycling apparel, would have ambitions to be seen as a brand didn't quite make sense to me. however, as the company's progress since its modest beginnings in 2004 seemed mostly to have gone according to carefully laid plans, it would have been a foolish cycling blog writer who doubted such aspiration. those who have paid even scant attention to the workings of imperial works over the last nine years will be aware that, while clothing is still the mainstay of the business, one or two ancillary directions have begun to find their way onto the rapha website navigation bar. and arguably the most exciting and potentially brand-like move has arrived under the umbrella of rapha travel. ever since phil deeker received official rapha approbation of his cent cols challenge series of rides, this part of the business has begun to slowly and surreptitiously encroach upon the perren street machinations. including the popular randonees often taking place in rather luscious regions of tuscany in italy, a number of these early forays into the travel milieu were offered by rapha but effectively operated by partner firms onsite. though i'm unaware of any specific troubles with this arrangement, as many of these partner firms were in the business of providing similar services of their own, you can see plenty of room for potential confusion. thus, in early 2013, perren street announced the creation and incorporation of their own travel service headed up by californian, brad sauber. on the announcement of their first rapha retreats taking place in le grand banc in french provence, only a hop, skip and a jump from mont ventoux, i spoke to brad about their immediate plans, but admittedly still failed to take in the premise that these offered not only for rapha themselves, but for those wishing to participate in such ventures. with the most recent additions to the menu for 2014, the penny has begun to drop, but principally due to my having participated in the first of the provence retreats. firstly, you need to realise that i am much faster, fitter and dashing in print that i will ever be in reality. as one who has read in search of robert millar more than twice, my climbing prowess is obviously second to none, that is until i have to ride up steep hills on an actual bicycle. thus, these first forays onto the roads surrounding the ventoux (the visibility was unfavourable in april for an attempt on the summit) had me comfortably keeping the lanterne rouge within my eager grasp. i have the red cycling cap to prove this tenacious victory. many years ago, long before rapha, one of the major cycle tour companies offered several early season training camps, one or two of which were curated by robert millar himself. sadly, robert ceased his involvement before i had the chance to type my credit card details into the application form. however, this happenstance probably saved me from many hours of embarrassment, as it seems likely that the most i'd have seen of robert would have been his rear wheel disappearing into the distance. i might conceivably have managed to improve my fitness, but i fear i would have done so on an individual basis. in provence, however, even though i was often as much as a kilometre or two behind my fellow retreatists, there was always a rapha guide alongside, seemingly happy to perform domestique duties and prevent me from having to talk to myself in between heavy breathing. and that, dear friends, is where rapha the brand began to dawn. but it was on the recent soft launch of next year's rapha travel plans, and a subsequent 'nuther conversation with brad sauber that the subtleties of their strategy began to make sense. though the european excursions will still centre around provence's le grand banc, taking in the ventoux as part and parcel of the days' itineraries, the experience has been marginally enhanced. 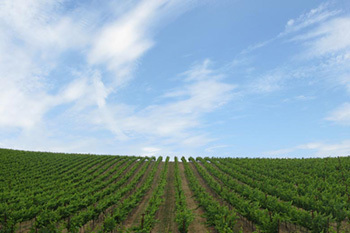 during the 2013 retreats, brad came across james king of chateau unang, a rather impressive homestead with vineyards near the base of the legendary mountain. it turns out that not only does mr king produce a superb range of wines, but he's also an avid cyclist, perfectly familiar with cycling to the weather station atop the giant of provence. thus dinner at le grand banc now offers wine from chateau unang and an evening where james provides an education in the ways of the vine. fortuitous, non? 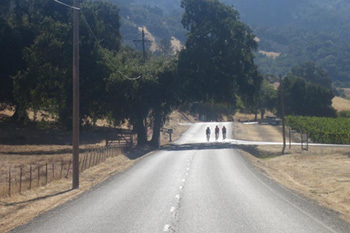 for those domiciled across the pond, a market that forms a sizeable portion of rapha's worldwide sales, the concept of the retreat is being introduced for 2014, once more incorporating the juice of the grape in california's napa valley. though principally aimed at the north american rider, like all rapha's retreats and rides, they're open to anyone with the desire anad the financial wherewithal to participate. and though the bald figures at the foot of each website section might promote a faint trembling of the wallet, on the basis of my own experience, you rather wonder how they manage to offer so much for so relatively little. and no, i'm not joking. influenced by the success of the rapha continental and the growing perception amongst many a bike rider that this may be the most approachable and exhilarating way to ride a bike without the need to be in possession of a competitive urge, the range of randonees has landed in north america. portland to san francisco, san francisco to santa barbara and los angeles to san diego are 2014 rides that explore a sizeable chunk of the californian pacific coastline, the sort of rides that even a tail-end charlie such as yours truly could not only participate in, but seriously enjoy, even if last guy home. 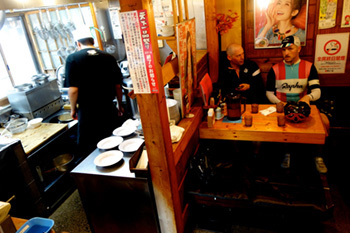 additionally, the rapha gentlemen's races have proved popular in both europe and northern and southern hemispheres, based around the premise that they're unsanctioned and unmarshalled races, open to six person teams, all of whom are required to finish together in order to claim victory or a final placing. if one of your team suffers a flat or mechanical, or suffers physically, the others need to assist or cajole the hapless members of the team. hence the moniker 'gentlemen's rides'. plans are now afoot to have twelve riders attend a week's retreat in california where they will be coached by riders such as ben lieberson, a member of the original rapha continental. at the end of the week, the twleve will be separated into two six person teams and participate in an organised rapha gentlemen's ride. i have my hand up already. the far east has not, however, been left out. 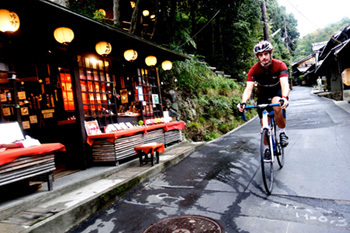 brad sauber has recently returned from japan, where he has recruited the nous of some local riders to ferret out hitherto clandestine routes through rural japan, often over roads long forgotten by all but the most intrepid on two wheels. 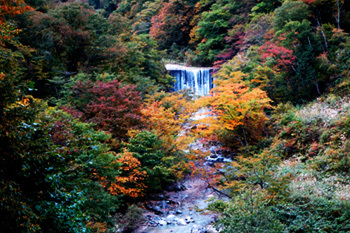 i have illustrated this feature with several of brad's photos from the reconnaissance trip. though once more these are rides designed to involve those within geographical striking distance, there is no barrier to those of a more european hue from signing up for, as monty python would have said, something completely different. so how, i hear you ask, does the mere act of scattering a few organised rides around the world constitute the creation of a brand? the way i see it is as a convergence of seemingly disparate features, all of which are connected via the cycling apparel which brought rapha to our attention in the first place. 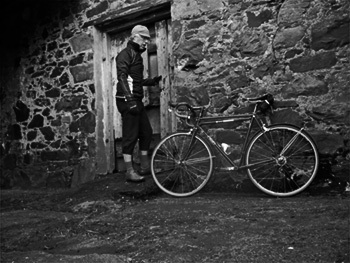 bluntly put, we have been offered state of the art apparel, then somewhere to ride while wearing it, a series of somewheres that are arguably a level or two above the average gran fondo or sportive. many of us have faint notions of living the professional life, complete with the support structure that the world's top professionals enjoy; mechanical assistance, a team car from which to garner sticky bottles, a freshly manicured, quality bicycle to ride each morning, laundered clothing each day, the aforementioned domestiques and cooked, nutritious food and a massage at the end of each day, no matter one's finishing place in the makeshift peloton. this year's partnership with team sky, while disappointing one or two of us with a rather overwhelming faceful of black and sky blue across every level of rapha's online shop, may just prove to be of far more value than simply the rapha logo on the team jerseys and shorts. coming in 2014 is the opportunity to '...immerse yourself in the atmosphere and excitement of world-class racing, from the (european) Spring Classics to the USA Pro Cycling Challenge'; quite literally, an opportunity to see the professional peloton from the inside. this matters. very few of us race, and if we did, we'd probably hate every minute of it. we'd likely be riding as solo entrants, devoid of pretty much all the above. however, having existed on a diet of well-written blogs and stories on rapha's website along with the series of films that generally accompany each rapha continental expedition, gentlemen's ride and others, they've carefully created an enthusiasm, beloved by some, disparaged by others. these, aside from fulfilling the obvious marketing requirements, offer those of us with an insatiable desire for cycling the opportunity to experience just what the fast people do, even though we lack the killer instinct allowing us to finish near the front in each year's etape. as an all encompassing cycling brand it's perhaps not quite there yet, but few would surely argue against the long and winding road heading in that general direction. 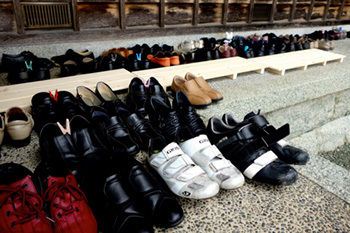 of course, the mitigating factor for many will be not only the cost of the occasional rapha jersey or pair of bibshorts, but the not inconsiderable cost of joining any of the above mentioned rapha travel events. on the april provence retreat, everyone wore rapha, but it's hardly the price of admission; you'd receive the same care and attention if clad in a competitor's apparel; a sales drive was very commendably conspicuous by its absence. however, realistically, i can't see how you can offer this supported level of riding pleasure and adventure for less than the price tag attached. it's cycling brad, but not as we knew it.